This page contains products Dr. Lisa uses, loves and recommends. Enjoy! Disclosure: Please note that some of the links below are affiliate links and, at no additional cost to you, Dr. Lisa will earn a commission if you decide to make a purchase. 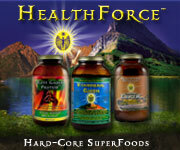 HealthForce Nutritionals: HealthForce Nutritionals is a 20-plus year, Vegan, therapeutic superfoods company. HealthForce Nutritionals empowers individuals to experience dramatic health improvements with verified products formulated for vibrant health and wellness. Desire Mapping by Danielle Laporte: The Desire Map is a holistic approach to planning your life. It guides you to identify your core desired feelings, and to use those feelings as the drivers of what you want to do, have and experience in your life. It turns goal-setting inside out. The Desire Map is a multimedia program. You can choose to explore with Danielle LaPorte’s book, ebook, audio book, series of audio contemplations, workbook and weekly inspiration to help you make desire-mapping a true practice.